The mixSorb S is the new development of 3P INSTRUMENTS for the investigation of the adsorption of gas and vapor mixtures! 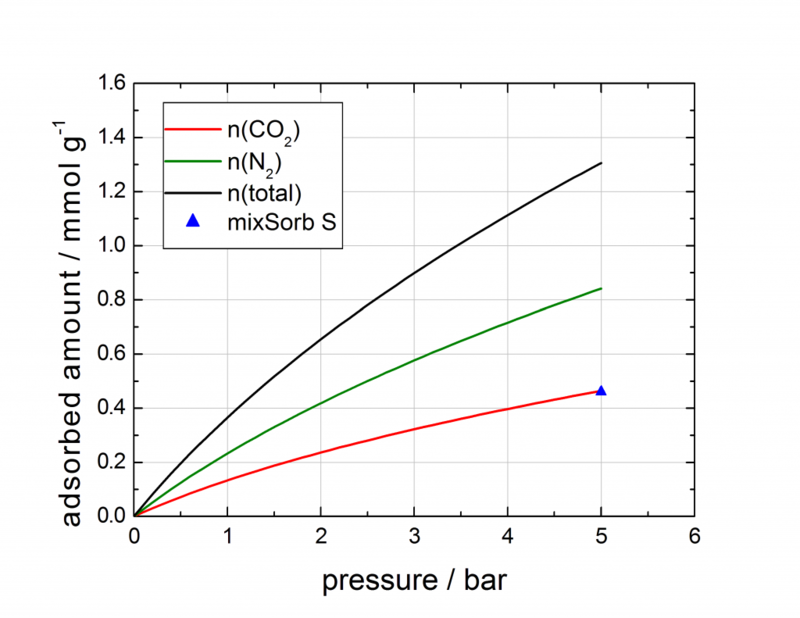 With the mixSorb S the mixSorb instrument series is completed, S stands for “small”, that is for the investigation of smallest sample quantities by dynamic mixture sorption of gases and vapors, L stands for “Large”, that means the investigation of larger quantities of industrial adsorbents. The volume-optimized measuring system with an adsorber of 1 cc is available for the mixSorb S (8 bar) and the mixSorb SHP (HP for high pressure 68 bar). With this analyzer of the mixSorb series, you can now get the practice-relevant measurements in your lab. 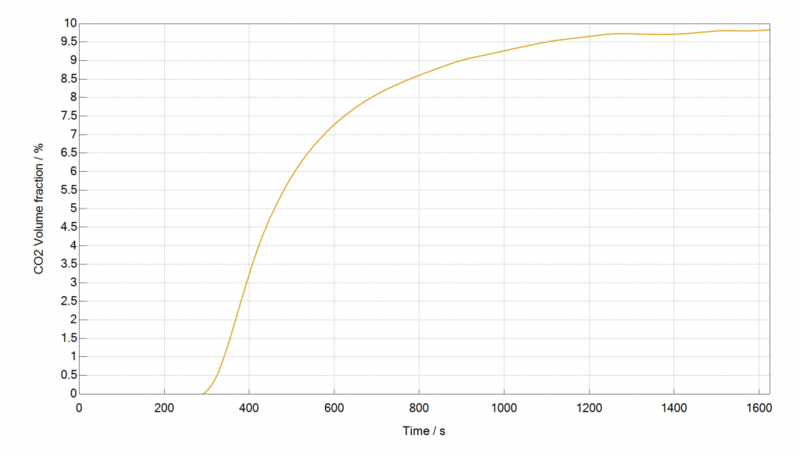 Adsorber volume of 1 cc – this allows the use of small sample quantities of e.g. MOFs or other “future” adsorbents for special separation processes. Industrial adsorbents such as activated carbons and zeolites are usually available in sufficient amounts and should be investigated in representative quantities. 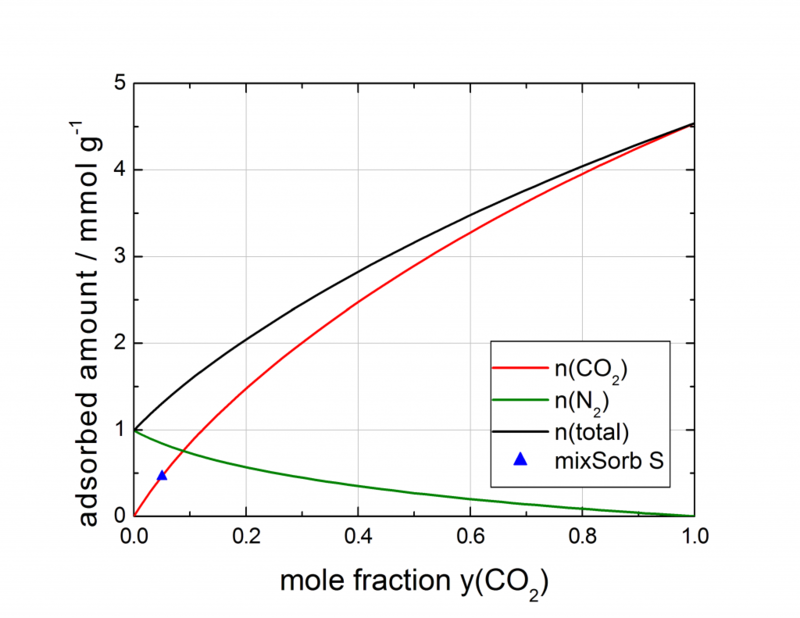 Practical studies of the mixture gas and vapor sorption with the mixSorb L with a standard adsorber column of 100 cc are already being carried out at a number of device users in Germany and abroad. 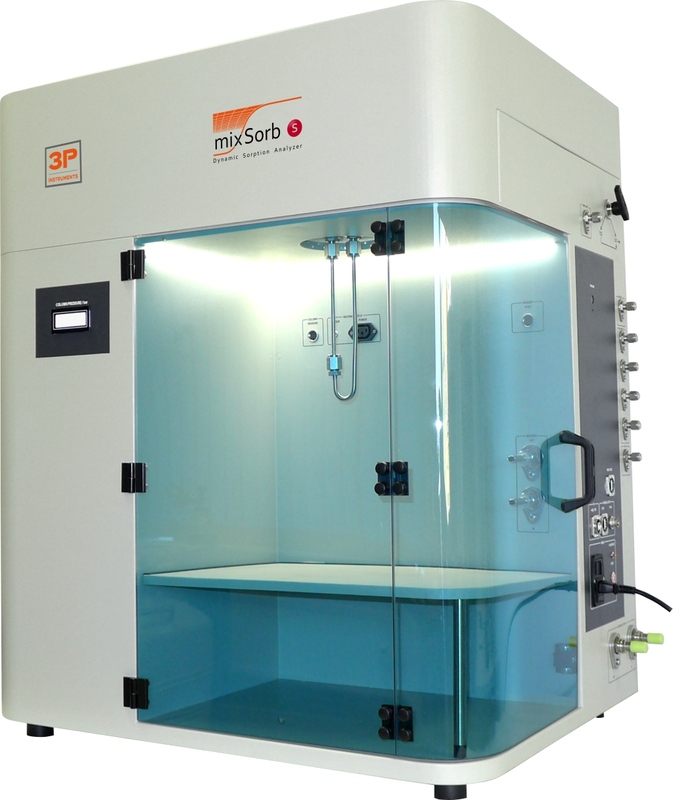 Thus, the mixSorb series established itself as a standard sorption instrument for laboratory tests of technical adsorbents. It impresses with its flexibility in both the hardware and in the control and evaluation/simulation software. Concentration: Since CH4 (yellow) breaks through earlier than CO2 (red) we have some time, where only CH4 and He can be detected. Assuming a 100 % CH4 breakthrough, this would yield in a 50 % volume fraction at the detector. Replacement: CO2 replaces CH4 at the adsorption sites, which yield in partial CH4 desorption and an increasing CH4 concentration at the adsorber outlet. 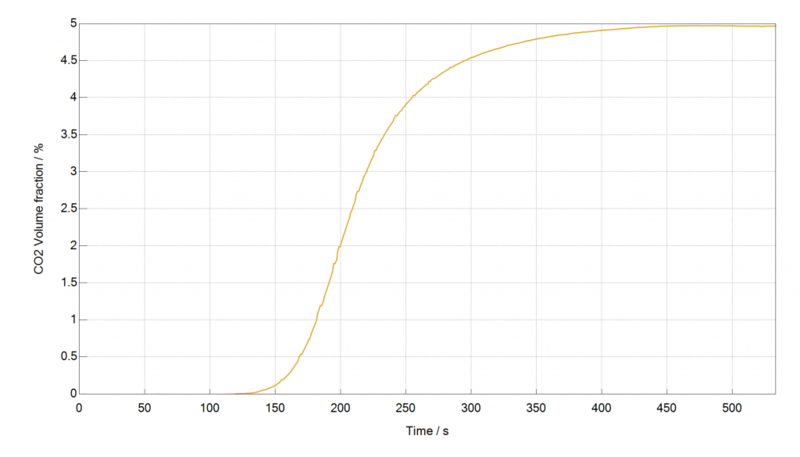 The next experiment shows a breakthrough curve of 10 % CO2 in CH4 at 40 bar ad 40 °C with a flow rate of 50 cm³/min on the same sample, measured with the internal TCD. In a third example, we show that application-related measurements are possible with very small amounts of sample called SIFSIX-2-Cu-I that was provided by Prof. Zaworotko from Limerick University. A mass of 184 mg of sample were used in the separation of Acetylene from Ethylene (Pore chemistry and size control in hybrid porous materials for acetylene capture from ethylene; Science, 2016, 353 (6295), 141-144). 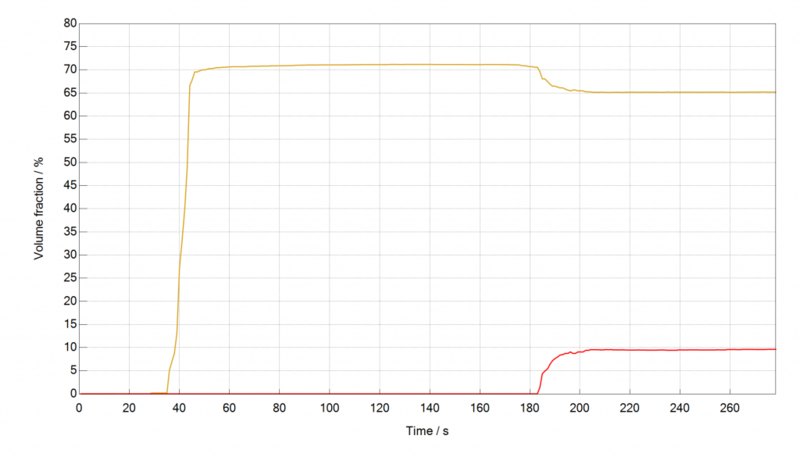 A gas mixture of 10 % Acetylene and 65 % Ethylene in a Helium carrier gas were used at 1 bar of pressure and a flow rate of 40 cm³ min-1. 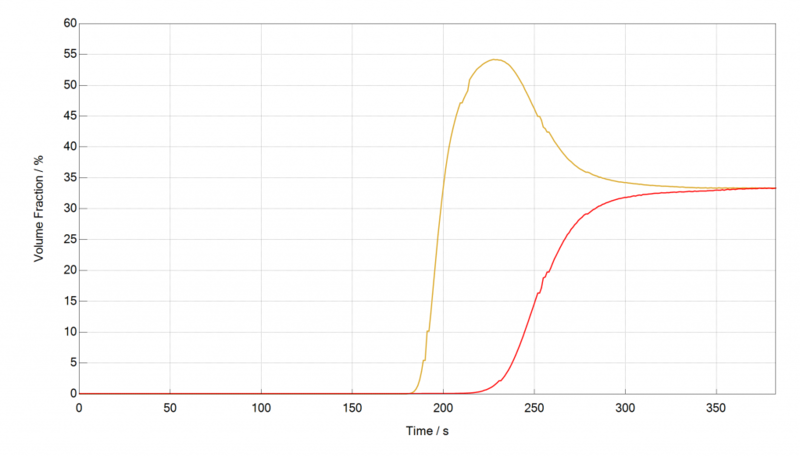 It can be seen that the mixSorb S in combination with a mass spectrometer can deliver reliable scientific data with small sample amounts and under challenging analytical conditions. The observed rollover effect is less pronounced than for the example with CO2 and CH4. When plotting the molar fluxes over time it can be seen that this rollover can be entirely explained with the concentration effect. Therefore very little or no Ethylene had been adsorbed which speaks for a very good selectivity towards Acetylene for this sample. The last example is a breakthrough experiment with 5 % CO2 in N2 at 5 bar and 40 °C on an activated carbon. The breakthrough curve was recorded, the loading of CO2 was determined and compared to mixture isotherm data, predicted with the IAST model by the 3P sim software out of pure component high pressure isotherms. The measured loading, determined with the mixSorb S shows an excellent agreement with the predicted mixture data.